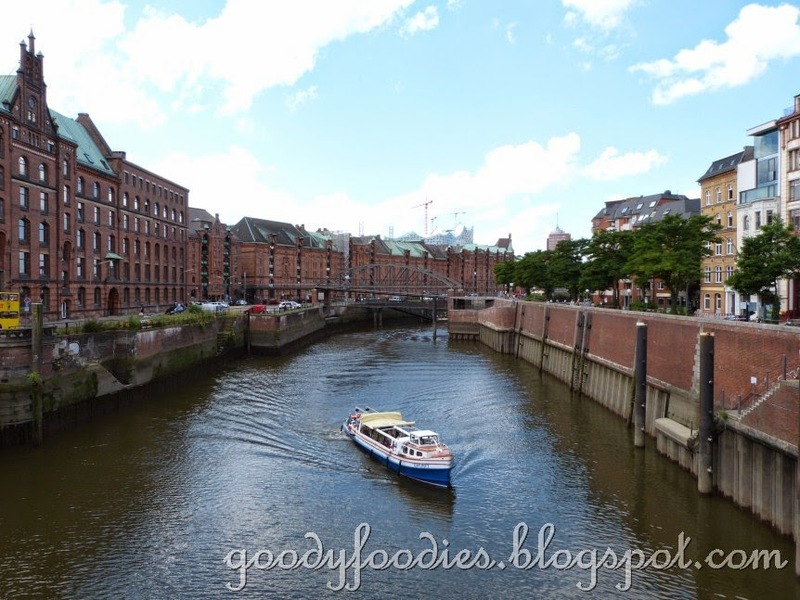 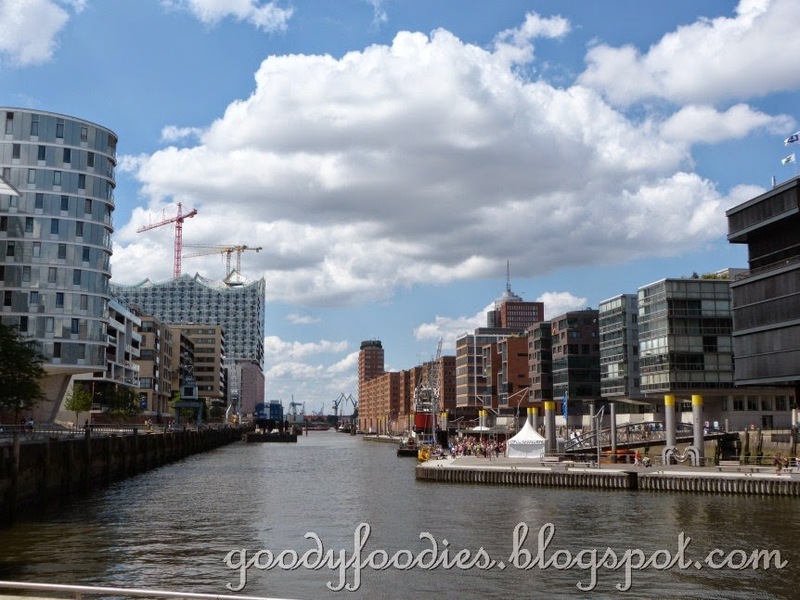 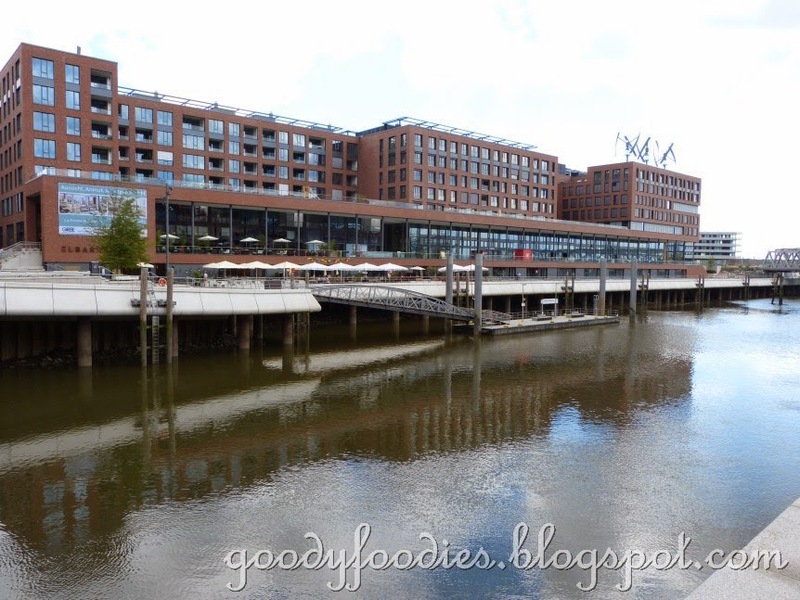 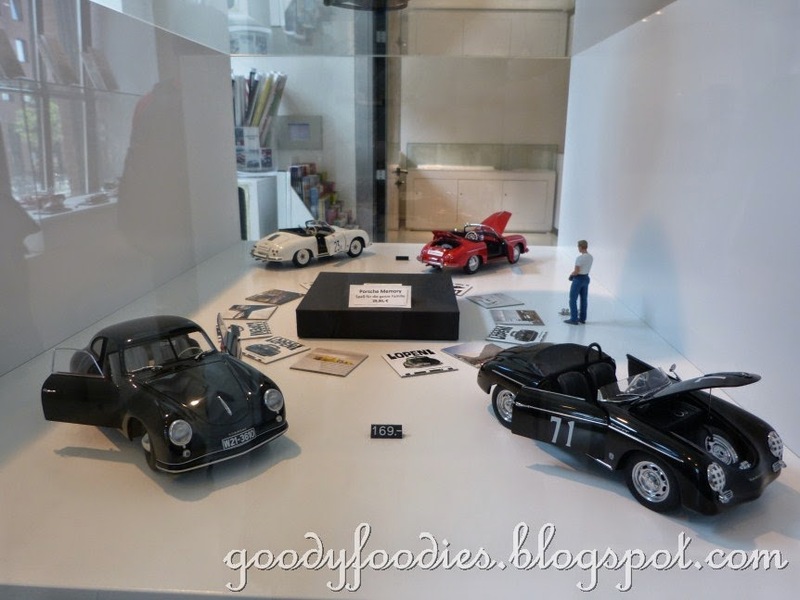 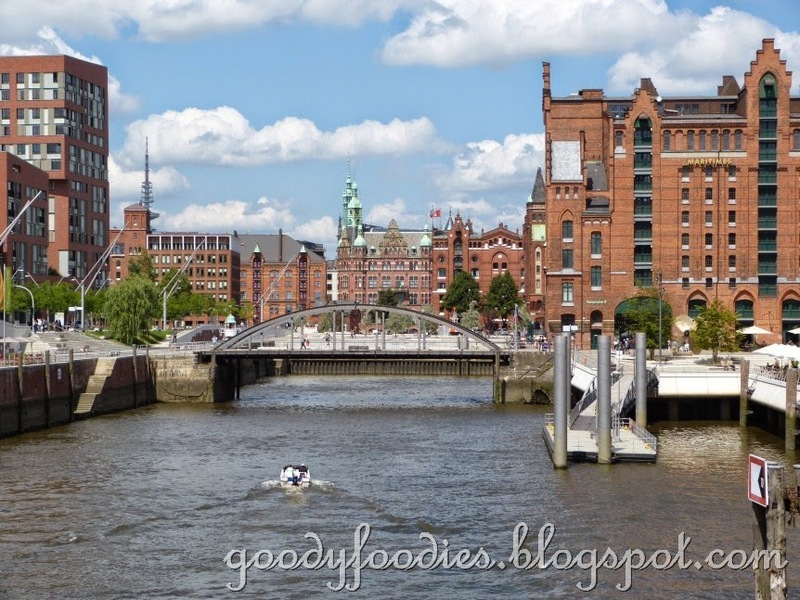 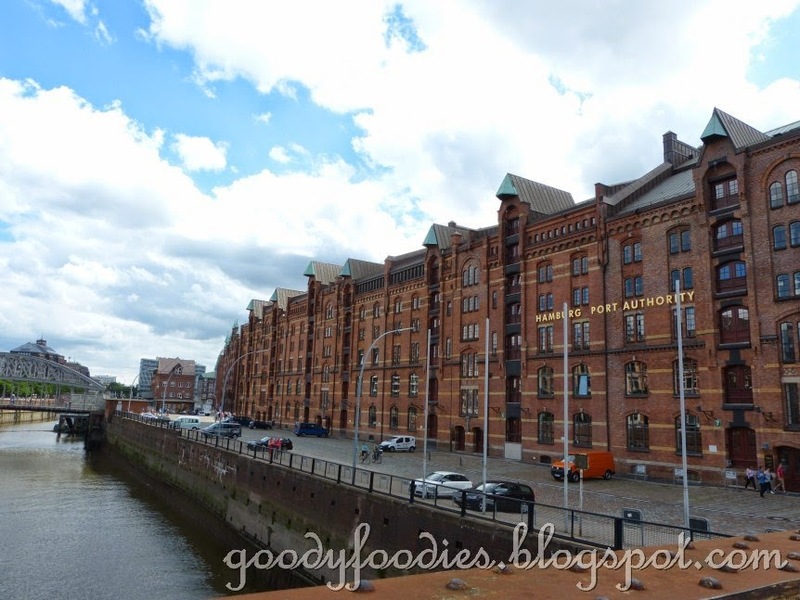 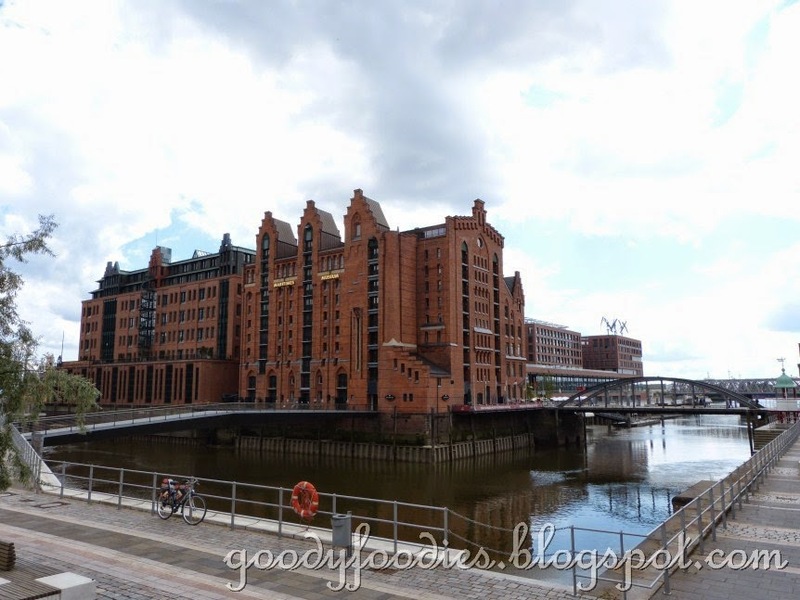 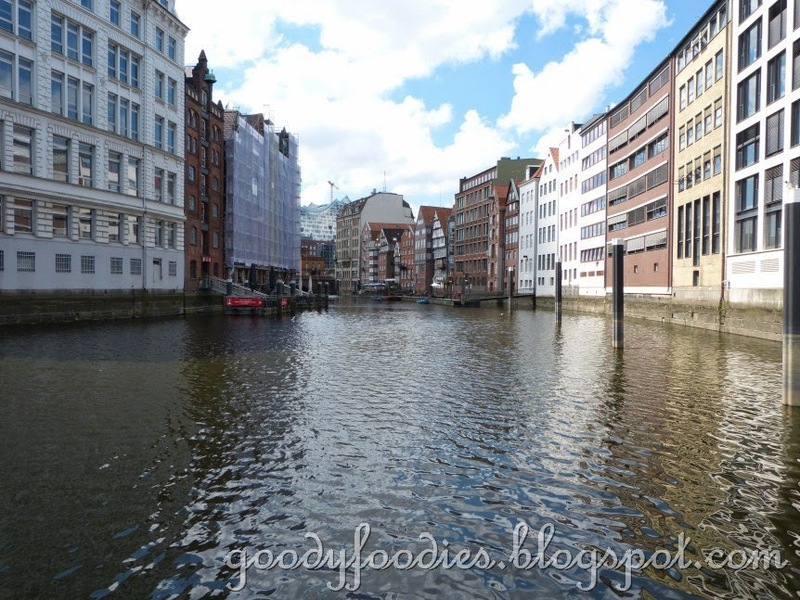 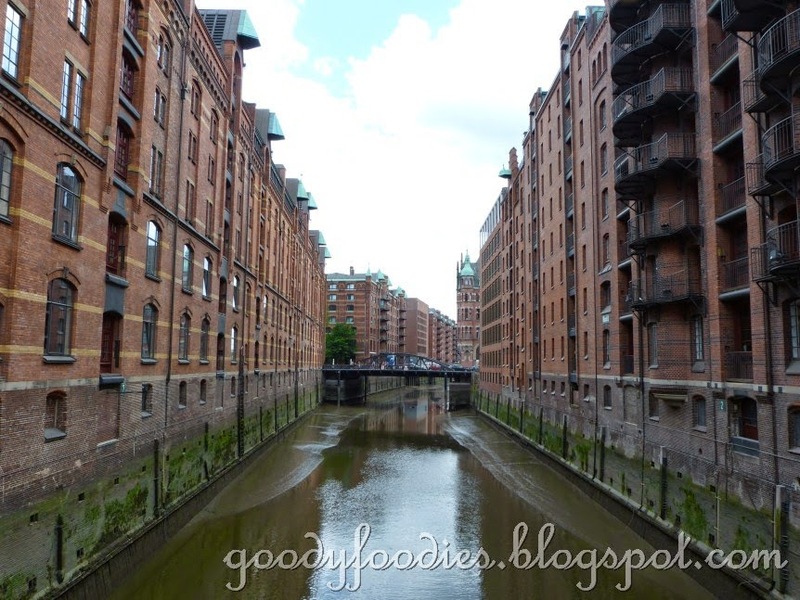 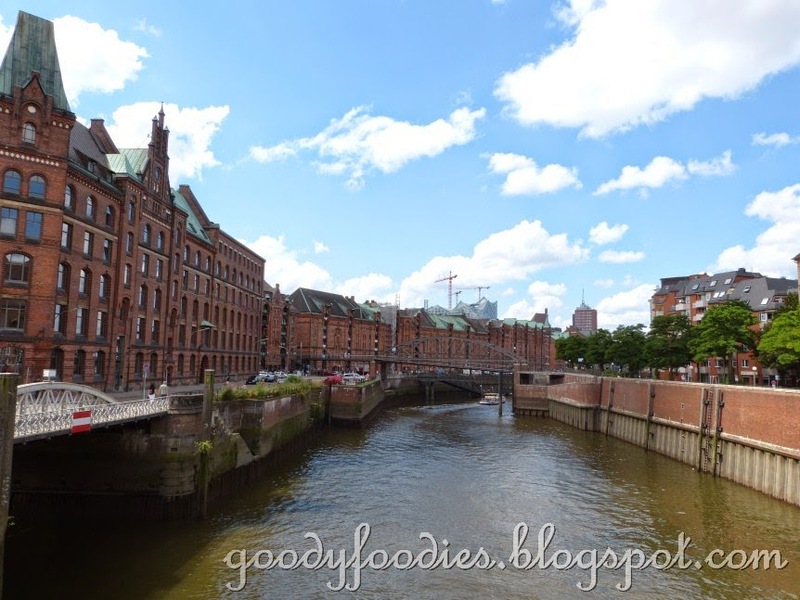 During our trip to Hamburg one of the stops was the historical warehouse district, Speicherstadt and also the new extension to Hamburg the Hafencity. 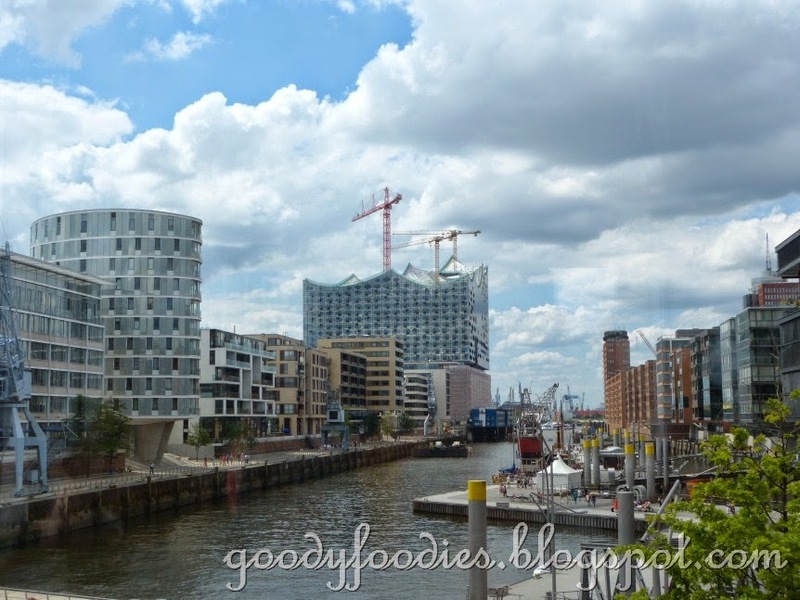 Here you get the contrast of the historical warehouses and modern tall buildings on the other side to house the ever growing population of Hamburg. 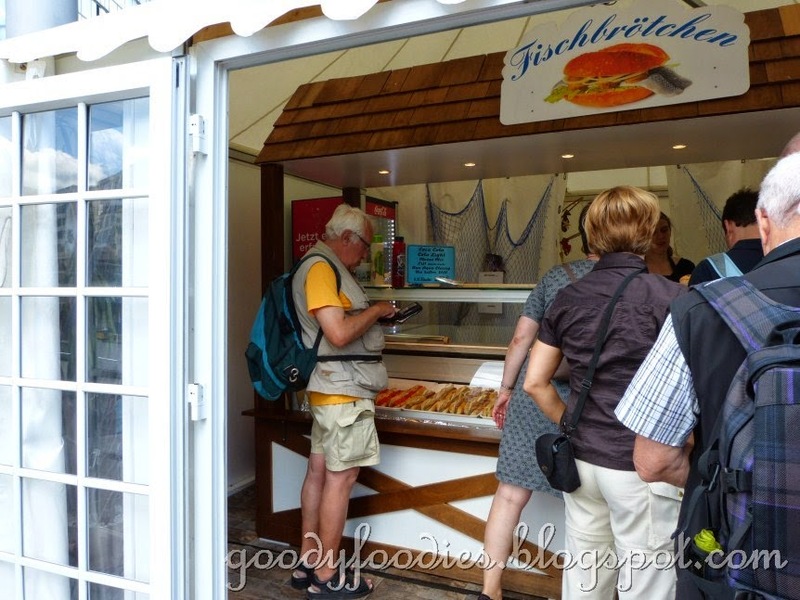 As we were exploring the part of the city where the new Hamburg Philharmonic is going to be built we stopped along one of the Fischbrötchen (eng. 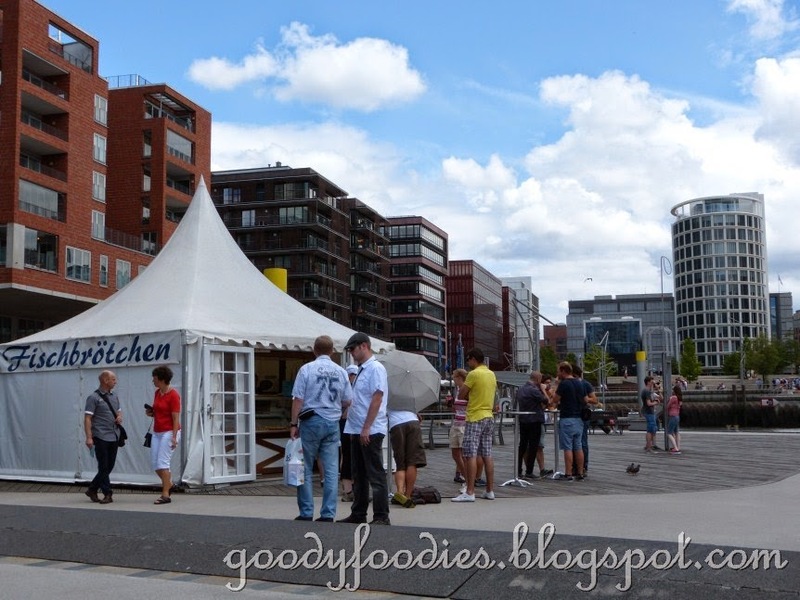 fish bread) stalls along the river. 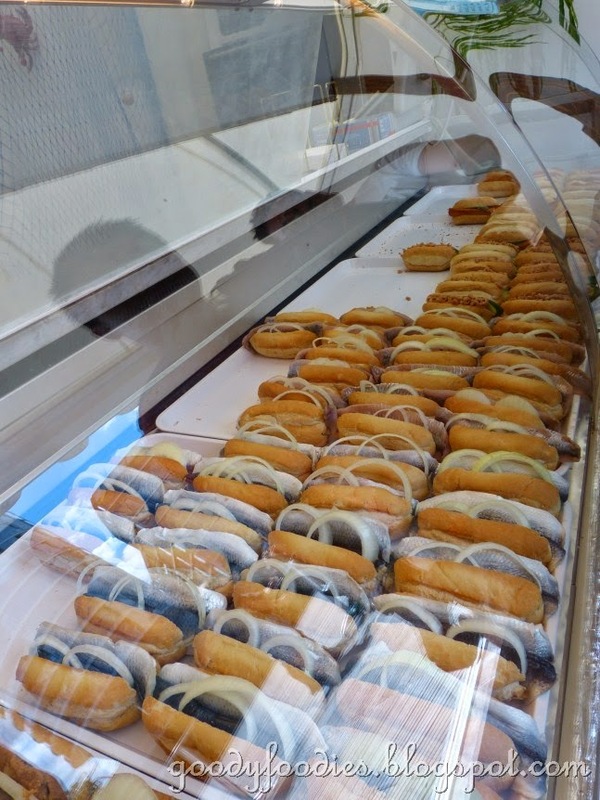 Obviously being in a port city, it's always great that you can get snacks like this easily. 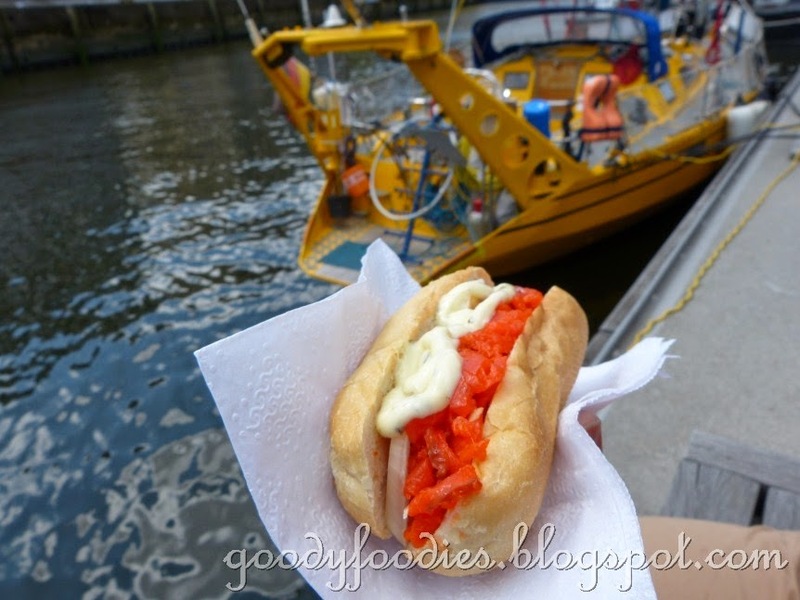 Salmon fish bread. 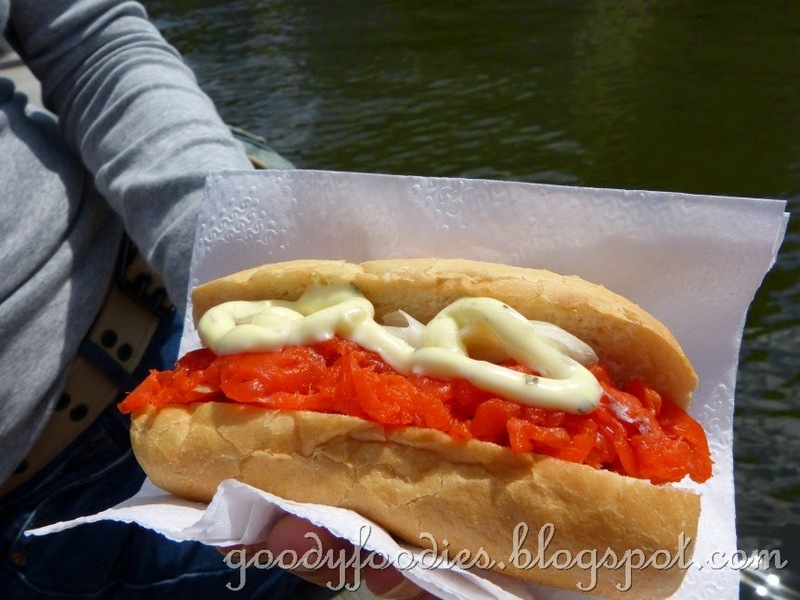 The cured salmon was pretty salty but went well with the bread and sauce. 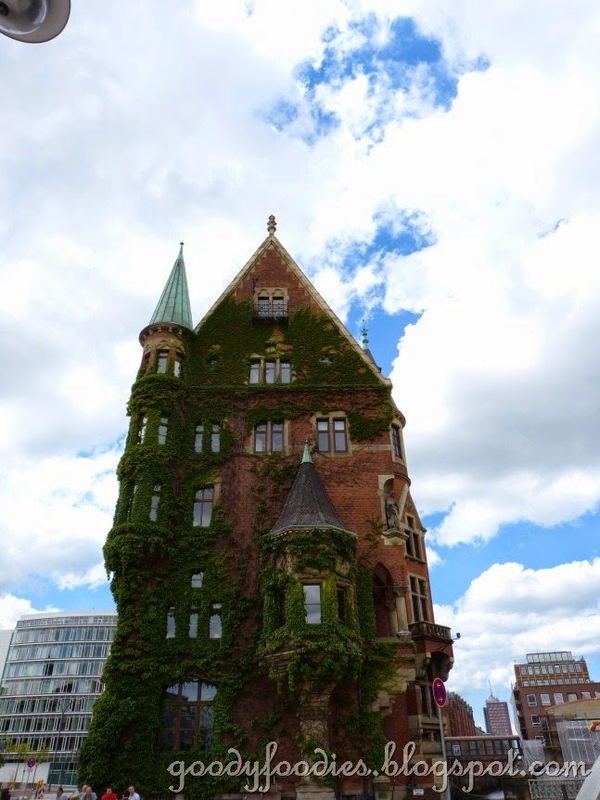 It was a mighty fine day for a stroll out in town. 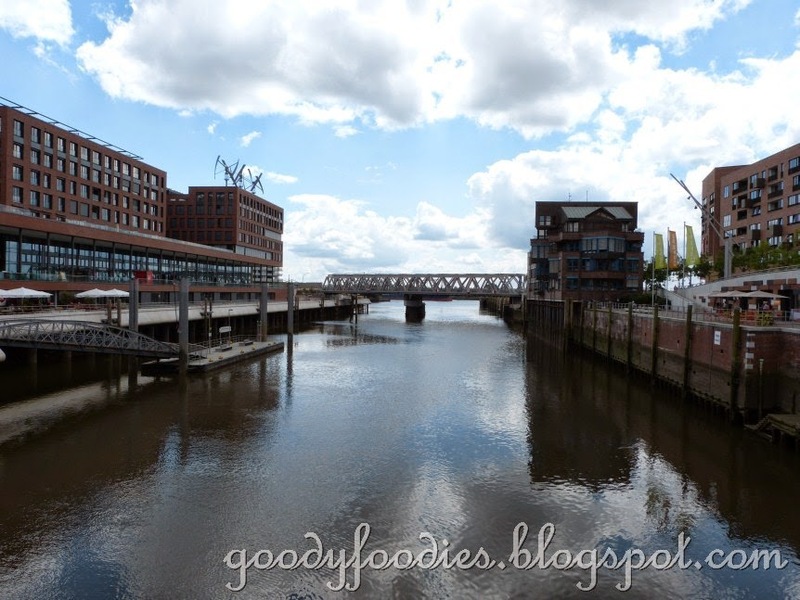 Enjoy some of the pictures we took of the surrounding area. 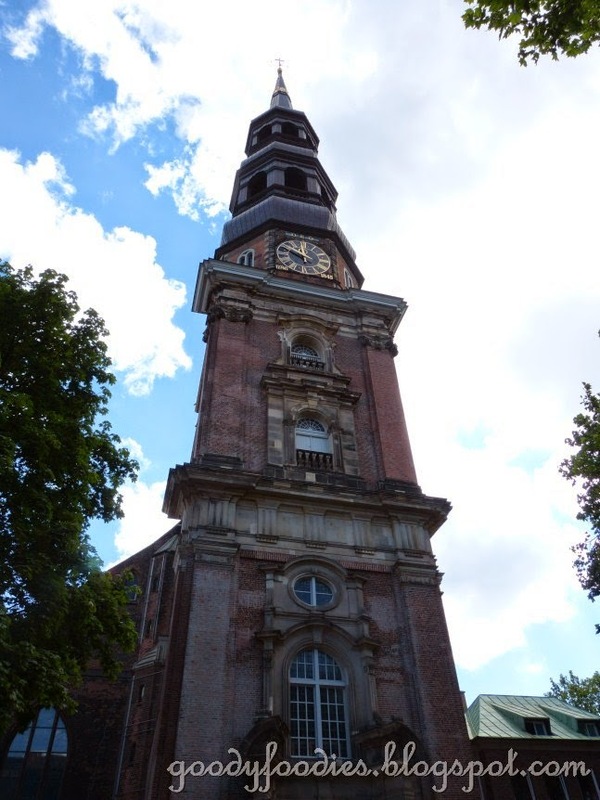 The new Hamburg Philharmonic under construction. 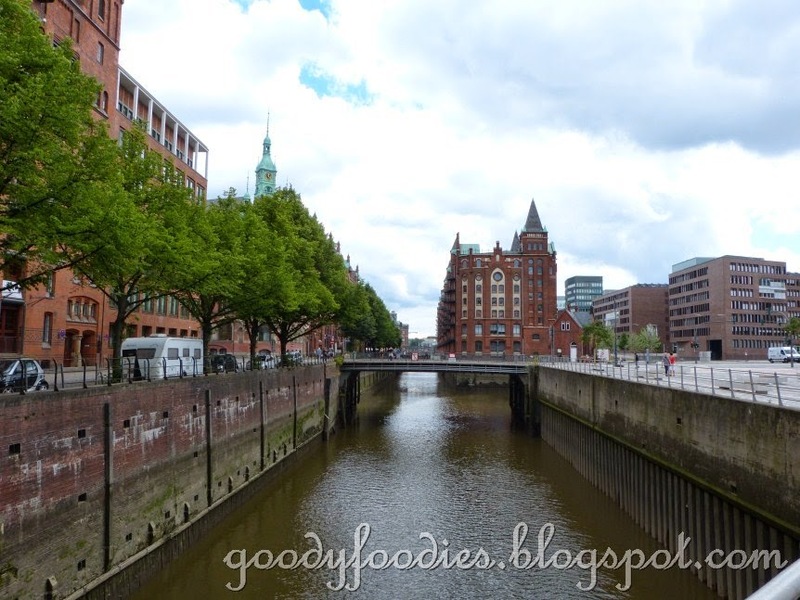 One of the many nice canals on our way to Speicherstadt. 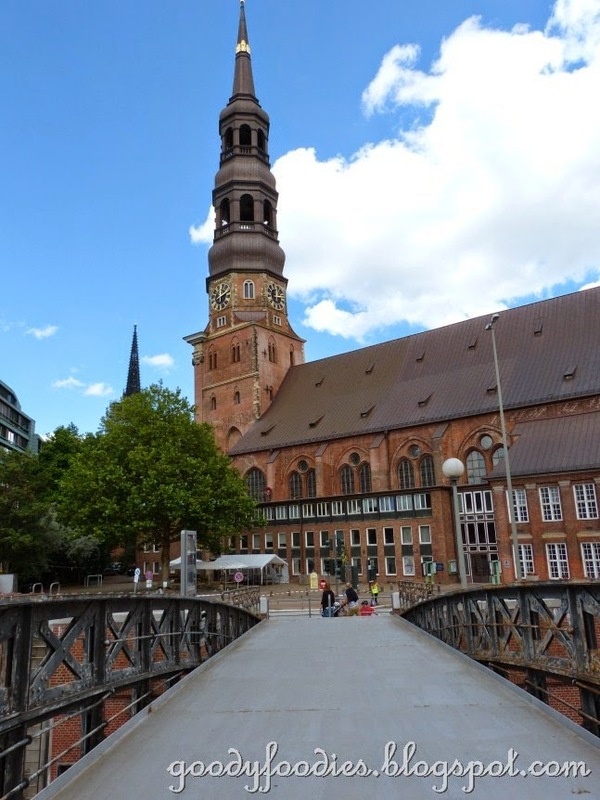 Oooo...the church! 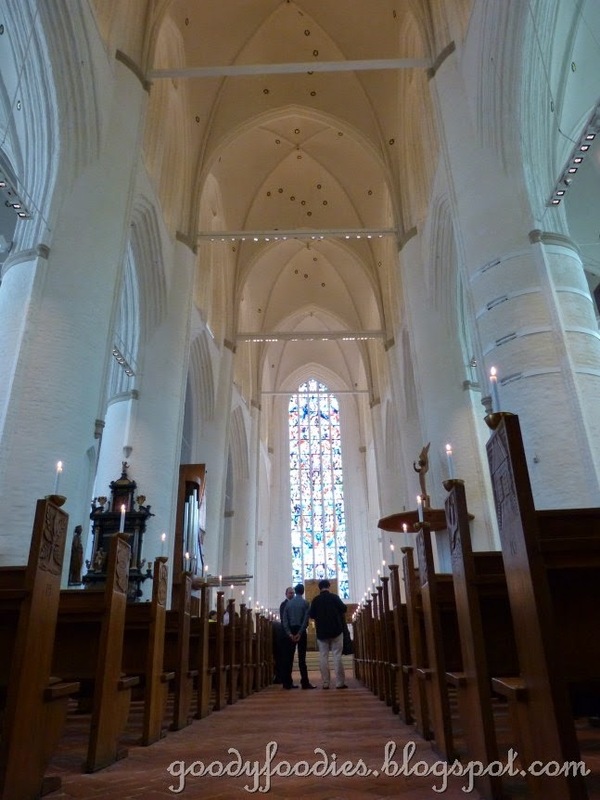 The ceiling takes my breath away.